Commercial project or renovation? We’ve got bin rentals to make the clean up easy. 1Choose a size. We have a variety of sizes for disposal bins, from small to extra-large. View our bin sizes here. 2Disposal bin delivery. We’ll deliver your disposal bin to your location. All of our bins are driveway friendly. We also use landing pads to ensure your property will not be damaged. For special scenarios, where the bin needs to be relocated, we can move it for a reasonable fee. 3Fill up your junk bin. Our disposal bins are user-friendly, they feature full swing doors with secure locking mechanisms. Our typical rental period is 5 days. However, we offer a discount of 10% off the total price if only needed for 2 days. 4Pick-up & haul your junk. When the bin is ready, let us know and we’ll come pick it up. Our skilled drivers will haul your disposal bin and you don’t have to lift a finger. Out of site, out of mind. 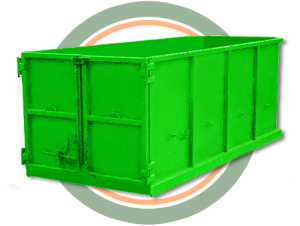 Our bin rentals start @ $249 including dump fees! (certain limitations apply). Our 7 – 30 cubic yard disposal bins include a 5-day rental period. Receive 5% off if only rented for 3 days. Depending on your location and materials removed we can offer you the most competitive rates around (please give us a call for more information). We have teamed up with a LEED (leadership in energy & environmental design) compliant facility, allowing us to have competitive prices and recycle even more. 7 cubic yard bin $249 includes 250kg of waste. 12 cubic yard bin $375 includes 500kg of waste. You choose what size dumpster you need to rent. We’ll bring the disposal bin to your location. * certain restrictions apply and municipal surcharges will also apply to to disposal rates. 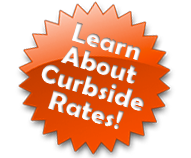 * prices will fluctuate according to material being disposed of please call for our special rates. Student Works Disposal makes junk removal easy. We’ll deliver your container, haul your load, and dispose of your junk. Every Do-It-Yourselfer needs a hand or two. What can we say… we’re neat freaks! Give us a call.